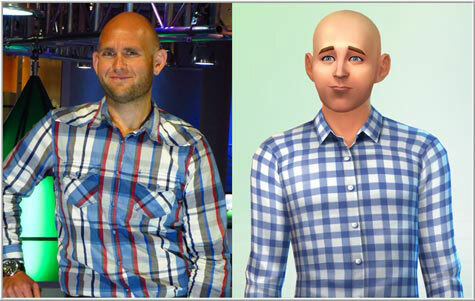 The Sims 3 lead producer Ryan Vaughan discussed the amazing longevity of one of the best-selling game series and what’s in store for the future. The Sims 3 strategic life simulation game series debuted in June 2009 and still going strong on PC and Mac…plus consoles…and the Nintendo 3DS handheld console plus iPod Touch and iPhone. The Sims 3 Store has also provided immense purchasable download content for the series include the recently released Aurora Skies world/town (the 8th). 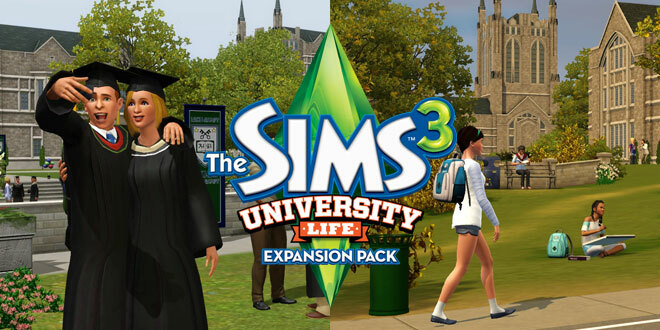 Players have enjoyed several expansion packs and stuff packs including the upcoming University Life (March 5 – the 9th expansion with two more planned) and the recently released 70s, 80s & 90s Stuff (the 8th stuff pack with one more planned). Describe your processes when injecting comedy, humor, and other entertainment elements. Ryan Vaughan: We often try to inject humorous moments from current and classic pop culture when designing The Sims games, but Sims really do lead a life of their own, and we often find ourselves laughing at the things they do unexpectedly. Stripping down at an opportune moment depending on their traits, or maybe accidentally setting the kitchen ablaze during a dinner party, are just a few examples of the things that happen in the game randomly. The Sims make these decisions on their own, and developing and playing the game leads to many more hilarious moments. How do you balance consequence severity with overall enjoyment? Describe the difficulty within the sandbox element where players can make mistakes without consequences that are too severe or disheartening. Also, how do you create the ideal variety and randomness to mirror real life while entertaining the players? Ryan Vaughan: When we design a feature, we strive to take into account how the feature will be played by the many different player types that play The Sims. For instance, we try to consider how someone who loves building will play with the feature or how someone who likes challenges and achievements will play the feature. While we can’t always build a feature to be broad and diverse enough to make everyone happy, we try to balance each The Sims product to ensure that they’re something for everyone. Randomness generated by the autonomy of each and every Sim contributes to special and unique gameplay experiences with each play session. Describe the research process regarding content. Does this focus more on team consensus or historical representation? Ryan Vaughan: The way we research content varies widely on a per feature basis. It includes everything from researching articles and watching movies, to getting into contact with experts or traveling to locations. The final in-game implementation is most often a consensus between game designers and developers, in terms of what is desired and what can actually be achieved within the constraints of the software. Brainstorming and background research for new features is my personal favorite part of the game development process. How do you sustain the experience of a successful game world that continues in players’ minds even when they’re not playing the game (after they go to bed, when they’re away from the computer, etc.)? Ryan Vaughan: It’s all about emotional connections. Whether it’s the autonomous quirks of a Sim’s personality, to the many hours a player might devote to building their own house in the game, players create deep emotional bonds to the content in their game. This entry was posted in Video Game Reviews and tagged Michael Siebenaler, Mike Siebenaler, Ryan Vaughan, Sims 3, Tall Writer, video games. Bookmark the permalink.